Red, green, gold and black are colors that represent Jamaican Rastafarians. 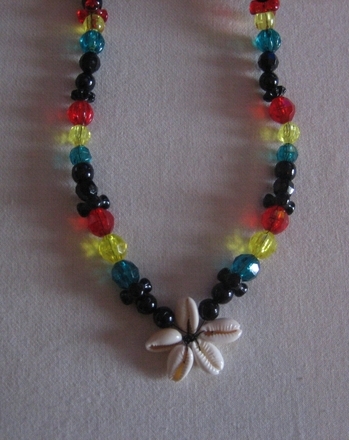 Beads in those colors as well as cowry shells often adorn Rasta jewelry. In this simplified activity, your young child can make her own Rasta-style necklace using beads and any type of shell (cowry shells are available for purchase online). Beads are great counting manipulatives and work youngsters’ fine motor skills. This project is a fun lesson in colour patterns, and a great way to celebrate a part of Black culture, too. Clasp - barrel, toggle, etc. Have your child sort the beads by colour. Ask her to set aside five shells that are uniform in size and shape for this project. Measure a piece of jewelry wire or cord so that it is long enough to make a necklace. 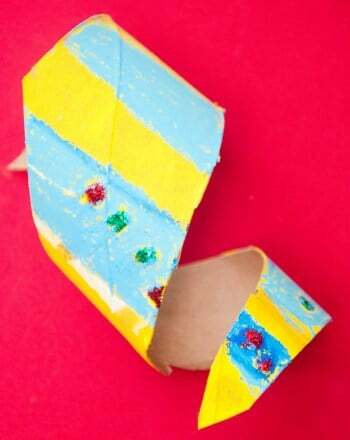 In the centre of the jewelry wire, have your child string a shell and twist the wire around the base to secure it. String a second shell and twist the wire around the base and continue doing this until all five shells are strung. Twist the wire clockwise a couple of times and position the shells to create a flower pattern. Next, ask your child to string beads in desired colour patterns. Once there are enough beads to make a necklace, you can help her finish it using crimp beads and a clasp so that the ends of the wire are safely covered. 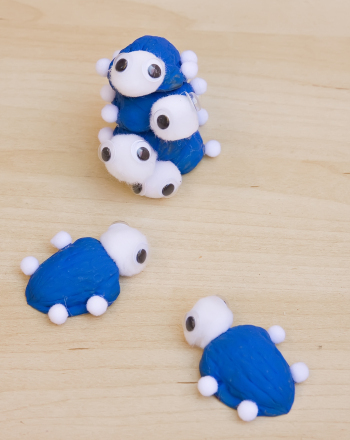 Simply slide one side of the clasp onto one end of the wire, form a loop, and slip a crimp bead over it. Use crimping pliers to squeeze the crimp bead so that it is flattened tightly around the wire. Make sure your child tucks any exposed wire back through the beads so they are not visible and won’t scratch her when she is wearing the necklace. Repeat step 5 on the other end of the wire. 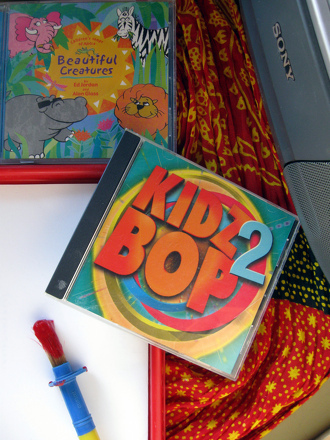 Now your child has a colorful new piece of jewelry to add to her collection! She can make several in no time and give them to friends. These necklaces make nice keepsakes that commemorate Black History Month. 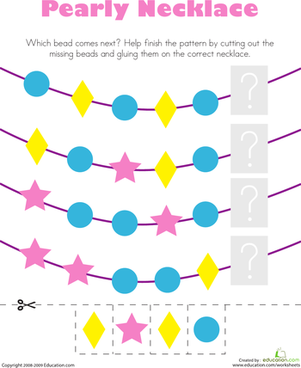 Kids study each pattern to determine which bead should come next. 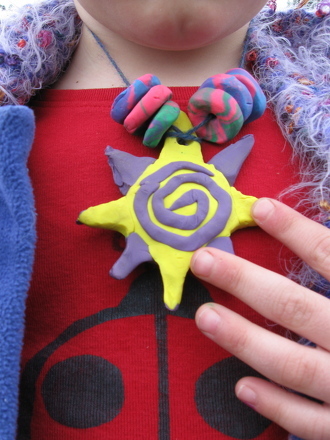 Here's a fun kindergarten arts and crafts activity: make homemade clay bead jewelry. All you need is flour, cornstarch, and salt to get started. 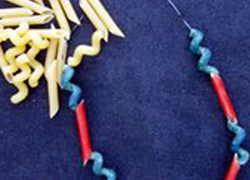 Stringing beads helps develop the hand-eye coordination kids need to write, and noodles are sized just right for junior jewelry-makers. 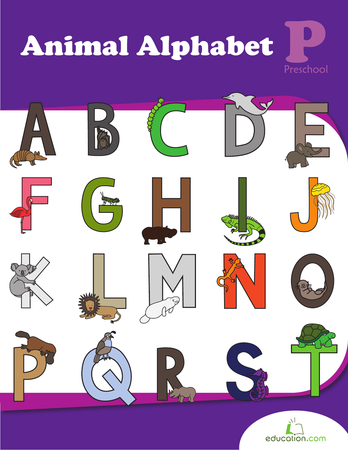 Worksheet inspired by words that start with D! Add colour to this nature-inspired fairy! Get your preschooler to practise a steady hand and celebrate Read Across America Day with this challenging stacking activity inspired by Dr. Seuss. 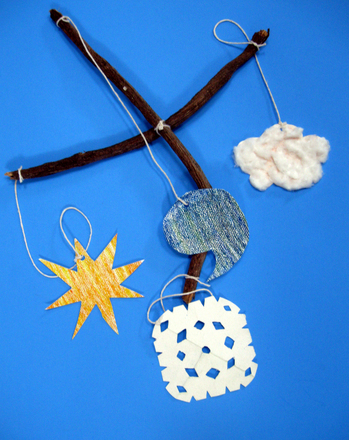 Have your child make a special mobile inspired by the weather outside. Learn about seasons, the environment, and art in 3-D.